The Ashton Classic Imperial Tubes is tagged with free shipping. If you order this product, your entire order will receive FREE BCP Ship Saver shipping! 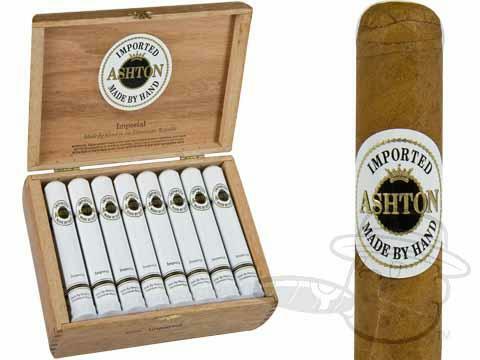 Ashton Classic Imperial Tubes is a pleasantly mellow smoke, offering tasting notes of cedar, cream, subtle vanilla, and almond in a 5 1/2 x 44 Corona vitola presented in elegant individual tubes that are great for gifting. These guys were ok but nothing great. Too small for my taste. Ashton Classic Imperial Tubes is rated 3.6 out of 5 based on 1 customer ratings.